Play in what looks like a Buddhist prayer wheel on Turn Your Fortune slot by NetEnt. Get ready for fortune win free spins and fortune respins. Turn Your Fortune is quite an intriguing online slot. That is because it seems to be a blend of different themes – with its big golden wheel and treasure-like symbols. Are you prepared to spin the reels and reveal your fortune? The jump on this NetEnt slot and win up to 2000 times your stake. 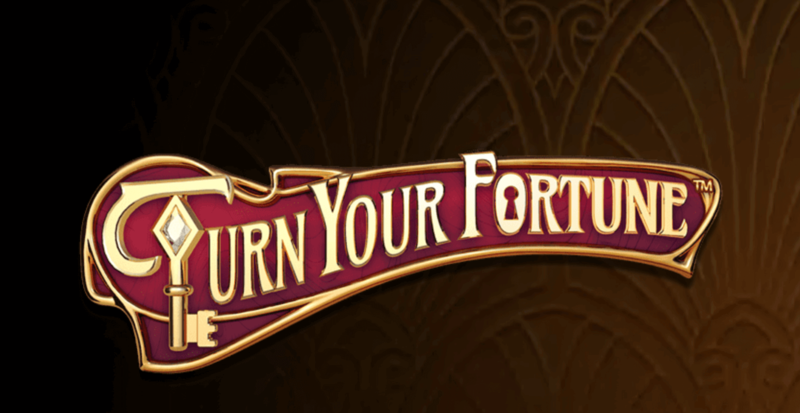 Turn Your Fortune is a stunning and unique slot, largely inspired by the French Art Nouveau. Released early in 2019, this is one of the latest games by giants NetEnt. There is something charming about Turn your Fortune that will keep you interested spin after spin. Maybe it’s the large and golden barrel. Start playing Turn Your Fortune on these major UK online casinos. Turn Your Fortune is a 5 reel, 4 rows and 40 payline online slot. Try your luck on the golden barrel for 20p to £200 per spin and enjoy two bonus features. Visually, Turn Your Fortune comes with an elegant theme – the shiny golden wheel says it all. Of course, French Art Nouveau has added a sophisticated touch to the game. Lush visuals and rich colours await you on Turn Your Fortune. Relax and spin the reels to the soothing acoustic music, reel sounds and noises. The traditional card numbers make up the lowest paying symbols. You will also see various animals including turtles, owls, lions and snails. The lion is the highest paying symbol. Land 5 of a kind and win up to 10x your stake. The butterfly is the wild and will substitute all other symbols to form a winning combination. The peacock is the scatter symbol. The best thing about Turn Your Fortune is that you can gather symbols and climb up the coin win ladder. This applies in both the free spins and re-spins feature. Your goal is to fill the meter by 5 or 20 spaces and move up 1 step. With 5 steps, you stand to win up to 150 times your stake in level 1. In the Fortune Wins, you will receive a coin. Go ahead and increase the value of the coin by collecting symbols on the reels. All you have to do is fill the meter with your collected symbols. If the Key falls on the reels during re-spins and free spins, you go one level higher. Land 3 or more Peacock scatter symbols and trigger the Free Spins feature. There are 3 tiers for the free spins, offering between 7 and 13 free spins. Your level will also determine the collectable symbol and if you continue to level 2, 3 or 4. Land 2 peacock scatter symbols and activate the re-spins feature. Here, the collectable symbol is the winning symbol. Turn Your Fortune is yet another riveting online slot by NetEnt. The free spins are clever and the re-spins exciting. Remember that the more symbols you collect, the more cash for you to win. Turn Your Fortune is not like any slot that you have played before. Especially with the different game levels and the creative graphics. Start playing Turn Your Fortune on these top UK online casinos and have fun with other juicy bonuses and player programs. Are you into really crazy online slots? Why don’t you poke your luck on games like Sam on the Beach, Puffer Goes Wild and Redneck Riches.